The heat hasn’t abated after a scorching July. We’ve had 14 days of near 100 / 39 degree weather. We’re toast, but imagine wearing a fur coat in this heat? Poor Hobbes. 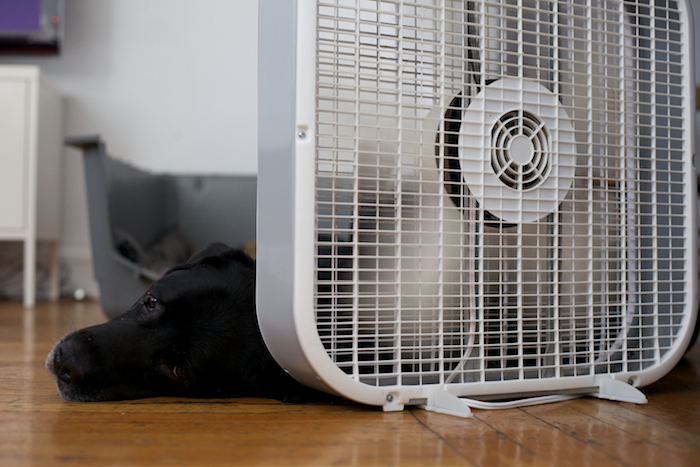 He can’t climb in front of the air conditioning in the windows, but he’s worked out that hugging the floor fan helps.